This modern house design was developed for a family with three young children and allows to transform rooms as children grow. Entitled Queen’s Park House, the residence is located in Sydney, Australia, and offers beautiful, bright and cozy home interiors for a young family. Designed by Fox Johnston architects, www.foxjohnston.com.au/, this open and pleasant house is very functional, practical and user friendly, providing comfortable and modern interiors for the inhabitants, and showcasing flexible design ideas. 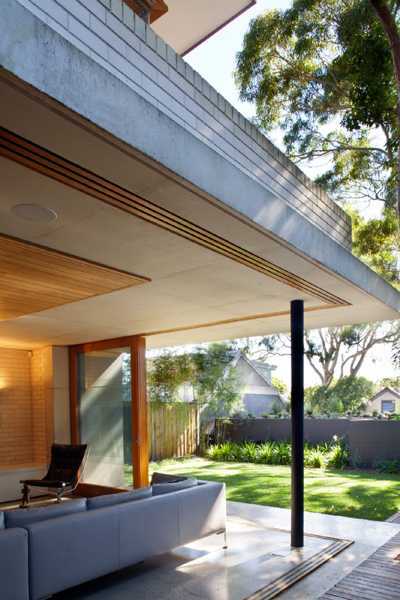 Sliding glass doors connect modern interiors with the backyard, increasing living spaces. The architects say, – we endeavored to create a series of spaces in the old and new house that could be flexible over time – a playroom was designed for the children which could be converted into a study or additional bedroom at a later stage. 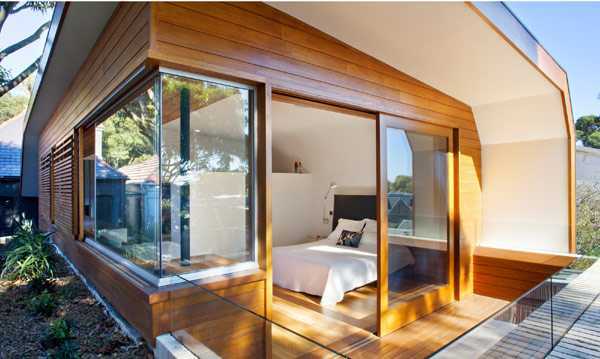 A guest retreat accessed from the lane way could also be a future teenagers bedroom, or a space for a grandparent if need be. Natural materials create healthy and attractive exterior and interior design. 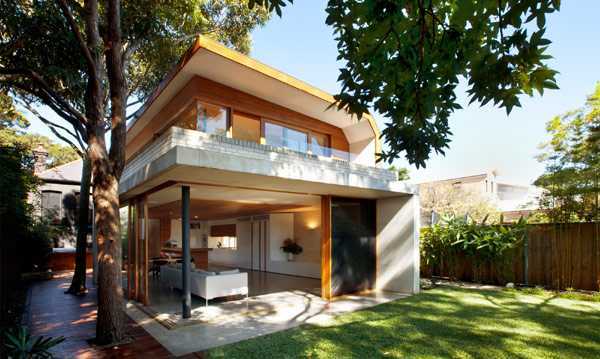 Brick, concrete and timber are excellent building materials that ensure sturdiness of the structure, and longevity and durability of this modern house design over time. 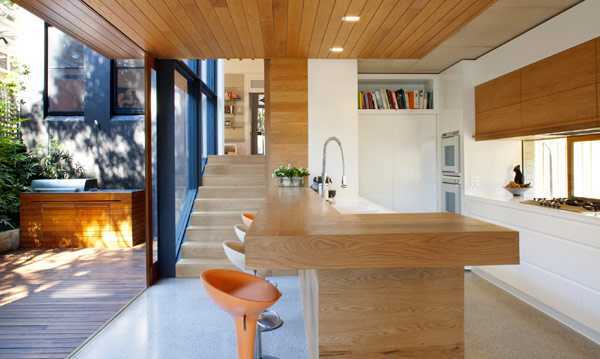 Attractive timber cladding, wooden walls and ceiling design give modern home interiors a warm feel and unique appearance. Large windows invite natural light into modern interiors, highlighting a sturdy and airy house design and creating a healthy environment for children to play and study.